Could this be the breakthrough technology we've been waiting for? IK has already released a version of AmpliTube for certain Samsung Android devices. The Android music making landscape seems to be changing fast. Last year, Samsung introduced its Professional Audio SDK for the platform, which promises low-latency audio performance, but it's only available for a select range of the company's devices. Now, however, we have IK Multimedia's "universal solution" to consider, which promises to enable "near zero latency and real-time audio processing on a wide assortment of Android devices". IK's solution is set to be compatible with a "wide assortment" of Android hardware running version 4.0 of the OS and above and compatible with USB host mode/OTG mode. This includes phones and tablets from Samsung, Google, Motorola, LG, HTC, Xiaomi and others. When using this technology, total round-trip latency is said to be brought down below 2ms, a figure that, if confirmed, is pretty impressive. 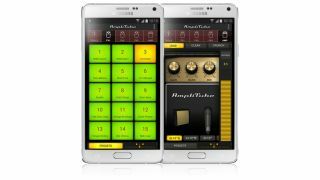 It remains to be seen if and how Android app manufacturers will be able to implement IK's technology into their products, but we hope to find out more when it makes its debut at the NAMM Show later this month.